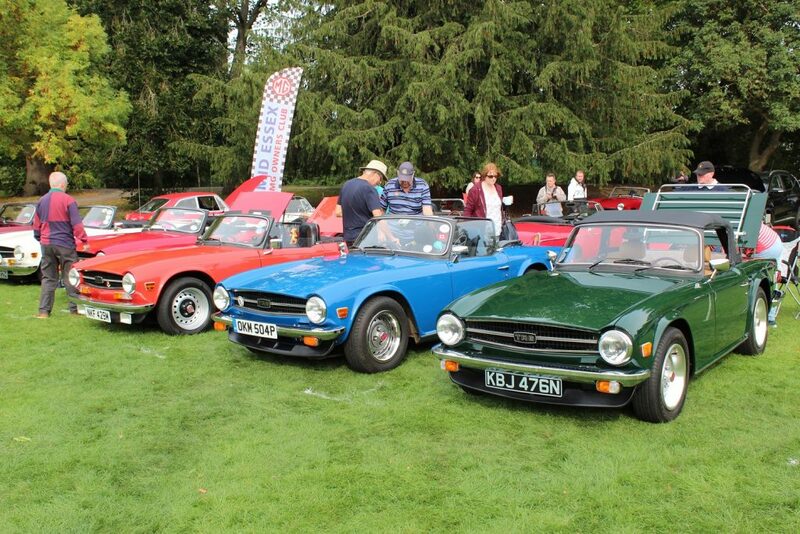 Essex Classic Vehicle Show a great success! 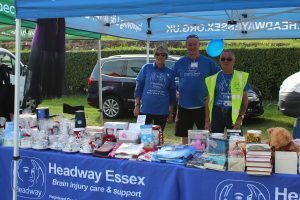 For a third successive year Headway Essex teamed up with the Charity Classic Vehicle Club to organise the Essex Classic Vehicle Show on Sunday. 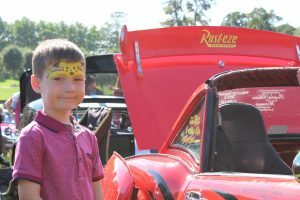 With over 220 classic vehicles from across the decades on display, the event attracted over 1,500 visitors to Lower Castle Park. 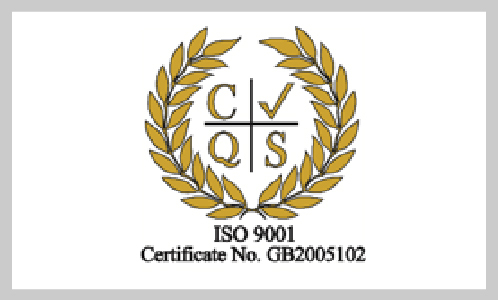 With a combined vehicle history of over 7,000 years, it was a real treat for visitors to view the classic vehicles in all their glory and chat to the owners. 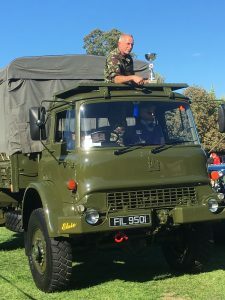 An arena show presenting the best vehicles was the main event as a number of proud owners showed off their cherished cars. Trophies were presented for categories including best pre-war car and vehicle of the show. The winner of the coveted ‘Best Vehicle at Show’ was a Bedford MJ 1979 [pictured below]. 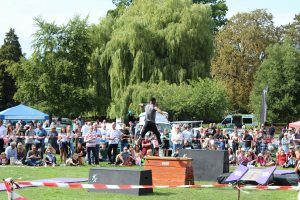 As well as plenty of spectacular vehicles, crowds were also entertained by the Destiny Majorettes, acrobats Team Kinetix and the Kingsland Community Choir. There was also a wonderful selection of craft, gift and food stalls. The final amount raised is still being calculated but initial projections show the event brought in more than £8,500; the most money it has raised to date! 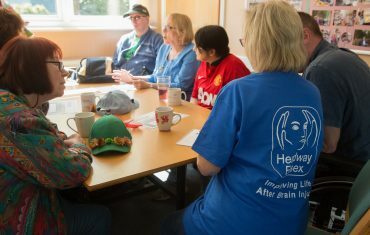 The total raised will help us to continue to provide rehabilitation and support for brain injury survivors and their families and carers in Essex. It was an absolute delight to see so many people attend and raise such a fantastic amount of money. 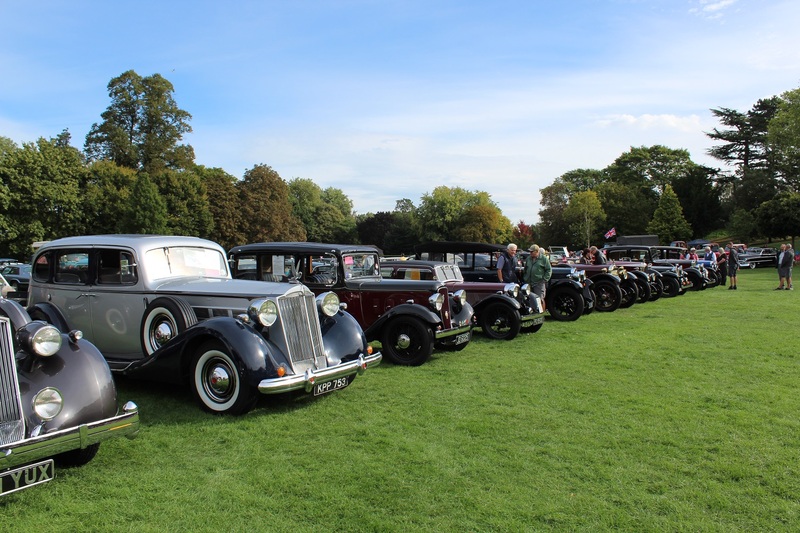 We’re also incredibly grateful to all the classic vehicle owners for their support in making this such a wonderful event and for the Charity Classic Vehicle Club for deciding to partner with us again this year. A special thanks as always to our wonderful team of volunteers, including the Essex Police Cadets who helped us run the event on the day. And of course, event sponsors Elms Price, RH Specialist Insurance, GH Motorcycles and to Big Yellow for giving us the space to store our event items. If you wish to check out more images from the event, visit our Essex Classic Vehicle Show event Facebook page. Paglesham charity clay pigeon shoot on target! We’re delighted to say that The Paglesham Clay Pigeon Club’s annual Paglesham charity clay pigeon shoot raised a total of £23,680 shared between four local causes, including Headway Essex. It was an incredibly hot and fun-filled shoot, which the club organised in partnership with the Plough and Sail pub. 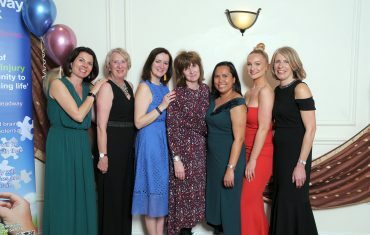 Now in its 16th year, the Club has raised more than £280,000 for charity and Headway Essex is delighted to say it has been a beneficiary for many years. In the last five years we’ve received £35,153 from the event. The proceeds directly enable us to support adults living with brain injury throughout Essex. All the people who attended the event, known as ‘guns’, met at the Plough and Sail Pub in Paglesham for a breakfast of sausage or bacon rolls on Friday 6th July. After the safety briefing, raffle tickets were snapped up by the guns for some very nice prizes kindly donated by local businesses. Around forty teams then assembled at the shoot, just a 5 minute drive from the pub. With their scorecards in hand, they went to their various stands to tackle the day’s clays! It was a mighty hot day, but with cold refreshments and a light lunch made from local roast beef, there was plenty to keep everyone going. Late afternoon, everyone returned to the pub for food, which was sausage and mash or curry. The prize giving and raffle collection continued with some fantastic gifts won by the crowd. And the silent auction raised a lot of money. 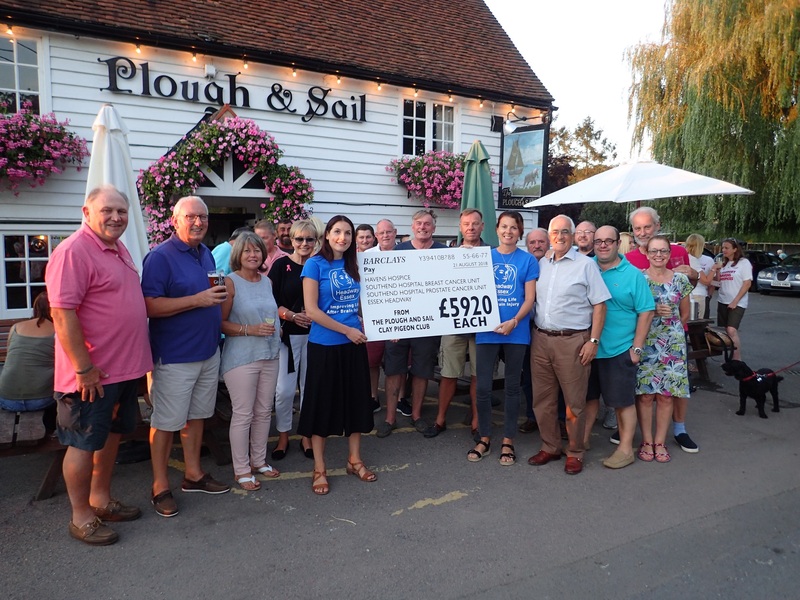 Last Tuesday we popped along to the Plough and Sail after work to pick up a cheque from this year’s event totalling £5920, which we are incredibly thankful for. We’re incredibly grateful to Stuart Greengrass and his friends from the Paglesham Clay Pigeon Club; they spend many months planning each shoot and never fail to make the day brilliant from start to finish. And the spirit and generosity from those participating in the shoot is fantastic. It’s time to prepare for the Colour5K! We’re getting really excited about the Colour5K event which is just under 2 weeks away! While we’re putting the final touches to making this a truly amazing event, those of you participating will need to dust off your running/walking shoes and start preparing to really make the most of the day. Everyone who’s pre-registered to take part will pick up their Colour5K t-shirt at the event; just make your way to the registration tent which will be open from 10 – 11.30am (a race briefing and warm up will take place at midday). If you have any family or friends who want to join you they can still sign up online until midnight Wednesday 27th June, just visit the Colour5K booking site or there will be a few limited places available on the day. Make sure you arrive in your normal running kit or comfortable clothes as there’s no changing facilities onsite and be prepared to get covered in coloured paint so don’t wear your best gym wear – you might want to bring a clean top to travel home in. This year we’re doing our bit for the environment and reducing the amount of plastic waste at the event, we’ll have compostable cups of tap water which will be available during and after the run but we encourage people to bring their own reusable bottles. Remember to invite your friends and family to cheer you on, there’s plenty of parking and space to bring your own picnic blanket and soak up the atmosphere. There’ll also be a selfie zone, face painter, music and refreshments available. Photos taken during the day will be available to view after the event via our Facebook page, please share your photos using #colour5k. 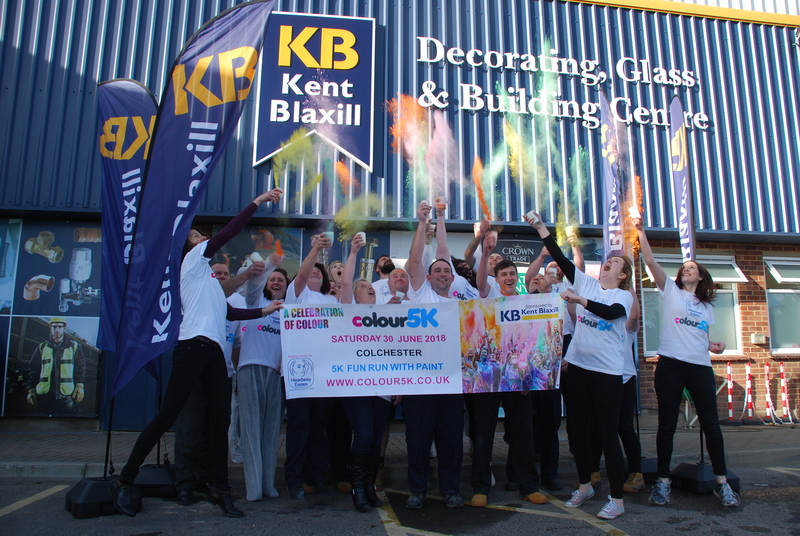 If you haven’t already noticed, Kent Blaxill is our main event sponsor this year and they’ll be joining us in what can be aptly described as a ‘celebration of colour’. Last year our amazing runners helped raise an incredible £5,500 which went towards providing rehabilitation and support for brain injury survivors and their families and carers in Essex. Let’s see this total increase this year so we can help even more people in Essex with an acquired brain injury. Finally, if you have any further questions please contact us at fundraising@headwayessex.org.uk or call 01206 547616. We’re incredibly grateful to those who have signed-up to participate in the Colour5K. Just by taking part, you will help us provide much needed support to those struggling to adjust to life after a brain injury. Introducing the Target £10 challenge! 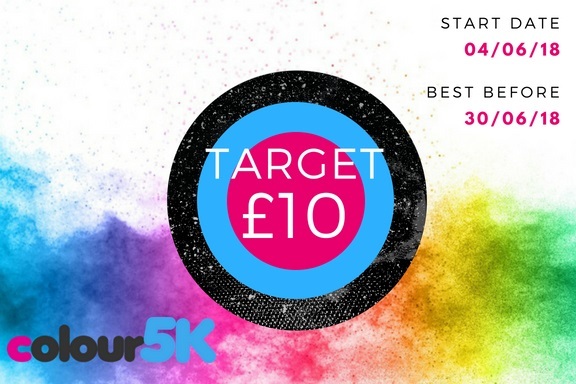 As many people participating in the Colour5K enjoy a challenge, we thought the Target £10 would appeal. We’re inviting all participants to raise £10 in the four weeks leading up to the Colour5K and in doing so, you could have lots of fun along the way! You could simply ask family and friends to each make a small donation or you could do something adventurous in exchange for sponsorship. There are lots of ideas in our A-Z of fundraising. Or if you are running short of time, you can make a single donation online. How will each extra £10 help? Together, if everyone running (or walking) the Colour5K raised £10 in sponsorship, we would be able to run a 10 week course to provide focused support for clients and their families following brain injury. 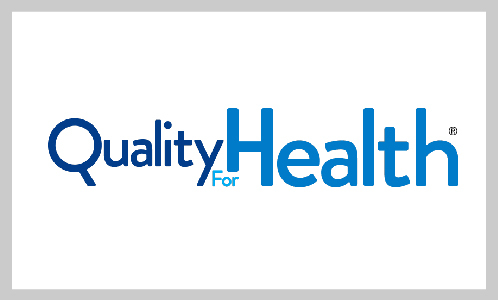 A course that can have a huge positive impact on a person’s recovery. There’s absolutely no pressure from us for registrants to participate in raising sponsorship. We are just incredibly grateful so many people have signed-up to take part. Thank you. We quite simply could not deliver the services we do without the support from our wonderful community of fundraisers! Join over 20 teams already signed-up for the Colour5K! We’re really excited here in the fundraising team! 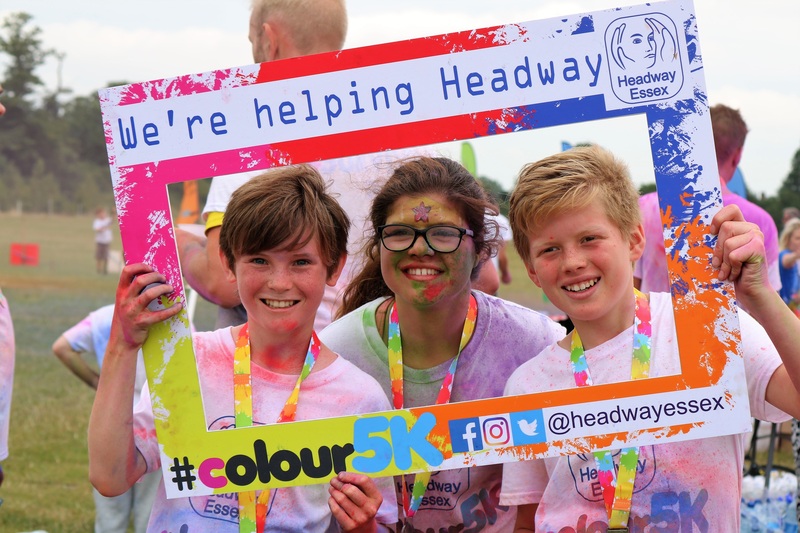 There’s already 22 teams signed-up to participate in this year’s Headway Essex Colour5K on 30 June, with more bookings coming through by the day! The biggest team signed-up so far has 32 members, closely followed by the event sponsors, Kent Blaxill & Co Ltd, who have entered a team of 30 employees. Teams vary in size, but to qualify for the Colour5K team discounted joining fee, you’ll need at least 10 people in your team! As with many of the groups, Kent Blaxill & Co Ltd are aiming to raise a significant amount in sponsorship for Headway Essex. “As the main sponsor of the Colour5K, we wanted to go that little bit further and I am most definitely looking forward to it. 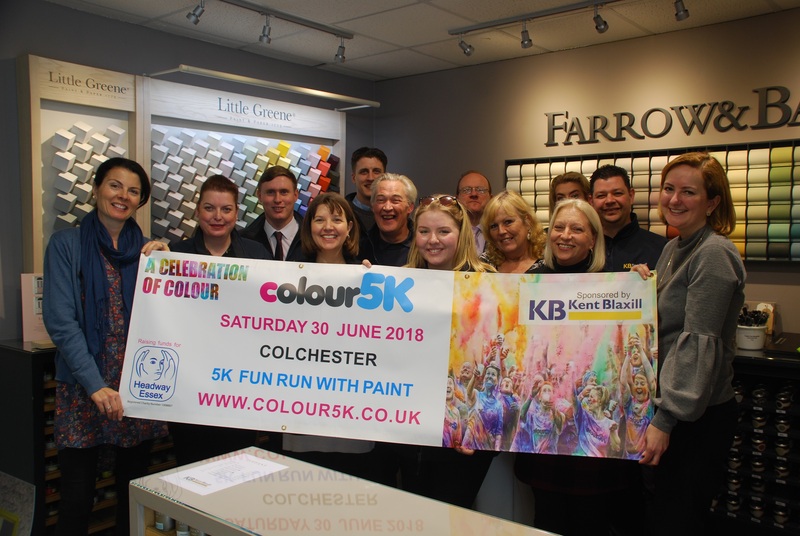 Our staff at our decorating centres are used to working with paint, but they never get the chance to throw it at one and other (apart from when the Colour5K was launched in February!). Runners will take on a 5 kilometre course and enter 5 colour zones, at every kilometre colour bandits will shower them with different coloured powdered paint until they end up their own work of art! There’ll also be a Kids 1 km Fun Run so the event is open to all ages and ability of runners. All entrants will receive a free T-shirt and medal! 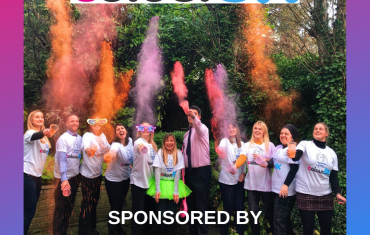 The Colour5K is a fantastic way for employees, friends, family and social groups to come together to have an enormous amount of fun. Money raised from the event will go towards providing rehabilitation and support for brain injury survivors and their families and carers in Essex. With only 10 weeks to go until the Headway Essex Colour5K (30 June to be precise!) we appreciate that the Colour5K could be the first time you’ve run 5km in a while or ever! So, we’ve pulled together a few handy tips to help you prepare. Don’t worry about how fast you can run; just remember the Colour5K is all about having fun with colour! But, if you are looking to improve your endurance, you’ll need to build on your aerobic base first. We’re quite a fan of the NHS Couch to 5K plan, which is great run/walk routine that gradually builds-up your ability to run a 5K. It doesn’t matter if you’ve never run before or if you just want to become more active, the plan is a free and easy way of preparing ahead of the day! 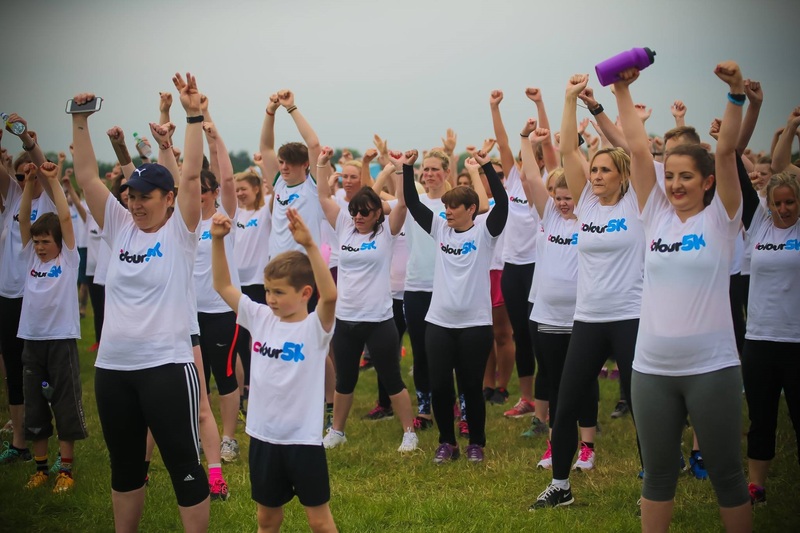 On the day itself, Personal Trainer Matt Brinkley, will be leading all our wonderful Colour5K participants through a good warm-up routine. But, in preparing to run 5K ahead of the event, what warm-up exercises should you be introducing? You’ll want to start introducing dynamic stretches before you run, including walking lunges, high knees to chest and straight-leg kicks to really stretch those hamstrings. Why is this so important? Well, it can significantly reduce the likelihood of an injury and strengthen your muscles. Stretching should last for around 10 minutes, after which you can either start with a brisk walk or a comfortable jogging pace, depending on your current fitness level. Of course, you might want to walk the Colour5K, which is absolutely fine, but you’ll still want to do some stretching before you set off! Don’t forget, it’s equally as important to stretch after your run. This NHS blog on how to stretch after a run has some fantastic images to show you how to do each stretch. If you’re not a regular runner, you could always borrow some running gear, or just wear some loose cotton shorts or trousers and trainers. The best tip of all though, is to enjoy it! We look forward to seeing you there and giving you your vibrant Colour5K medal as you cross the finish line.